An elderly Swedish woman was so displeased to see a group of far-right protesters blocking her way on her daily shop that she took matters into her own hands. 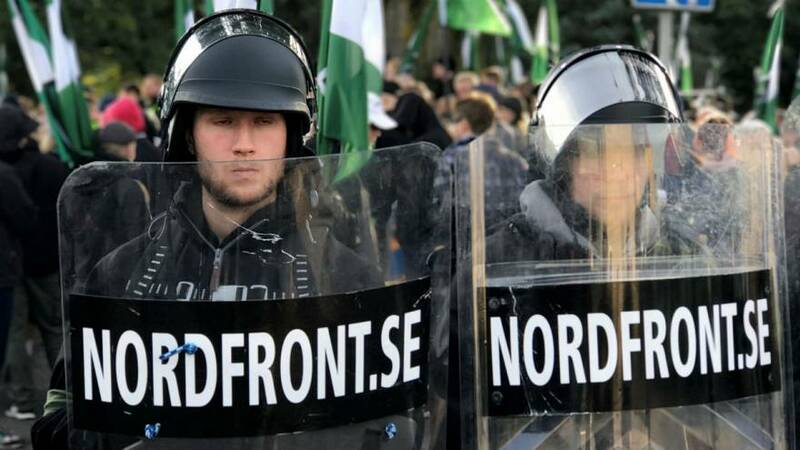 Ingegerd, an 83-year-old from Gothenburg, ploughed through a group of neo-Nazis from the group Nordic Resistance Movement (NMR) as they gathered to start a march last Saturday (October 5). Armed with a shopping trolley, she headed straight into the black-clad crowd of demonstrators, telling journalist Eigil Soderin from Swedish left-wing newspaper ETC who was on the scene, that she’d mow down the demonstrators with her trolley. Soderin, who posted a video on Twitter and YouTube of the event, said the protesters “politely moved aside” so that Ingegerd could do her shopping. The footage, which was widely shared on social media, garnered positive responses from many users. As for the risk represented by her actions, Ingegerd said she “did not think about the risk” as her “anger took over”. “The whole of Gothenburg was rebelling against the Nazis and when I suddenly had them in front of me I wanted to protest,” she continued. Up to 30 were arrested and 2 injured as some 500 NRM protesters clashed with police and counter-demonstrators.